Karim Popatia is an associate in the firm's Commercial Finance Group. He represents financial institutions in documenting, negotiating, and performing due diligence for asset-based and cash-flow commercial finance transactions. He received his law degree from Northwestern University Pritzker School of Law in 2018. 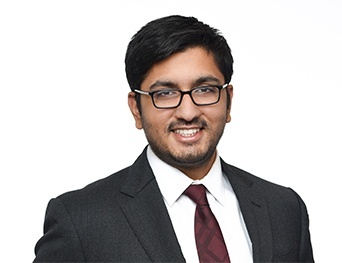 While attending law school, Mr. Popatia represented individual novice financial investors in cases of fraud and other related matters and also served as the Managing Editor of the Journal of International Law and Business from 2017-2018. Mr. Popatia has been published in the Journal of International Law and Business analyzing the impact of the pending changes in the IFRS Constitution. Also published is an article comparing the differences between the NHL and MLB Collective Bargaining Agreements in the American Bar Association's Entertainment and Sports Lawyer. He received his B.A. in Political Science and Economics from the University of Illinois in 2015.